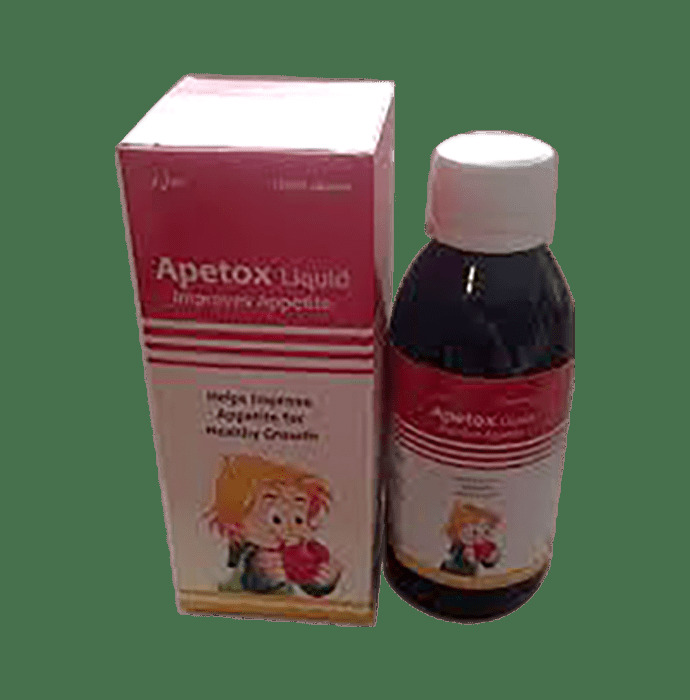 Apetox is a supplemental aid indicated for overall growth in children and adolescents.Apetox syrup contains choline dihydrogen citrate, lysine, niacinamide, pyridoxine, riboflavine, and thiamine. Apetox is a vitamin-B complex and amino acid supplement intended to promote overall health. Vitamin-B complex is essential for healthy hair, skin, liver, and eye. Amino acids are the building blocks of proteins in the body. Apetox is an ideal supplemental aid to treat vitamin B-complex deficiency states. Apetox syurp is indicated for pellagra, peripheral vascular disease, hypo lipoproteinemia.